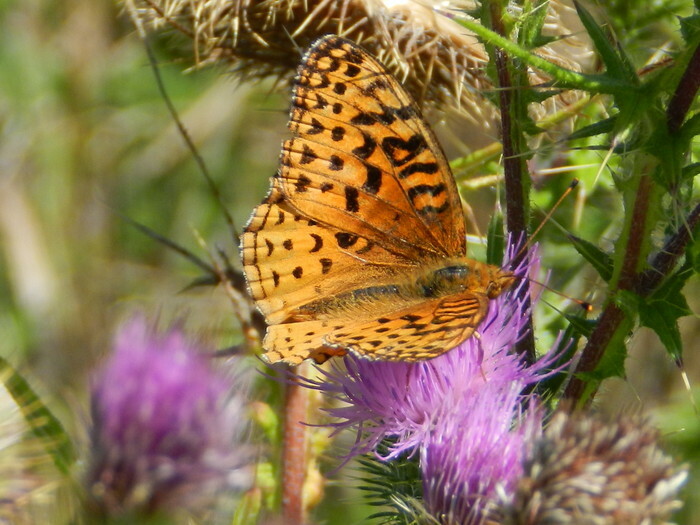 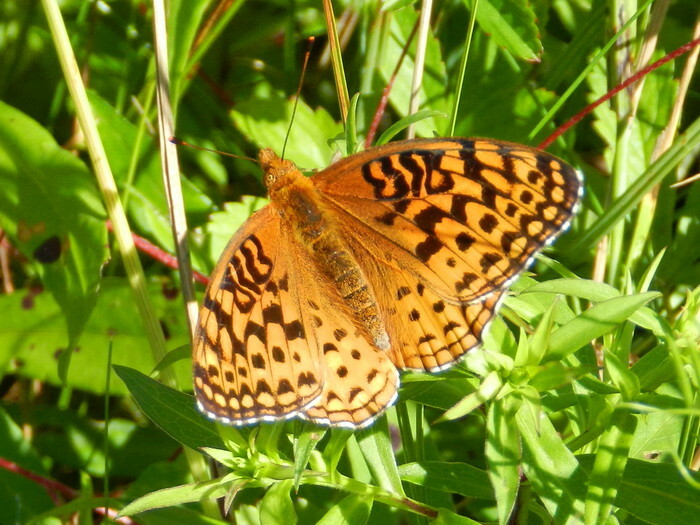 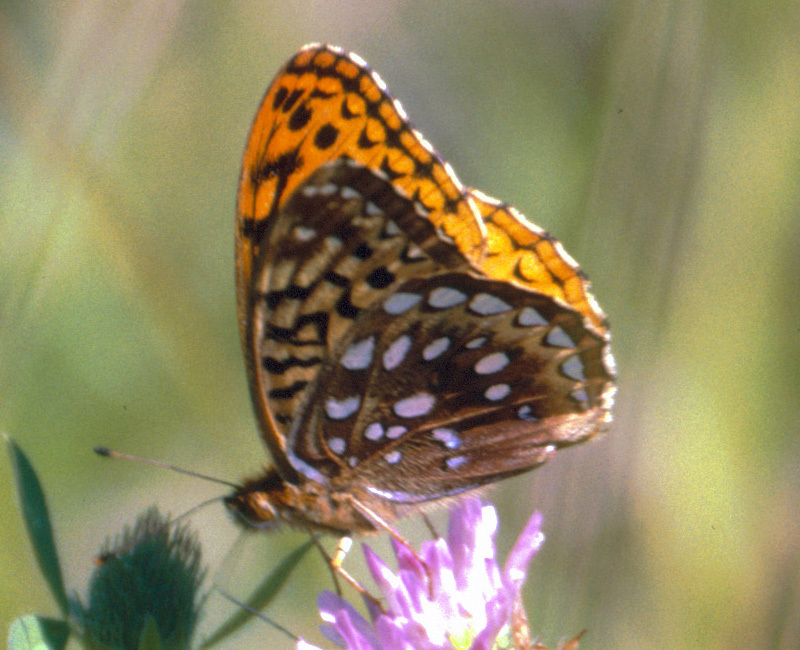 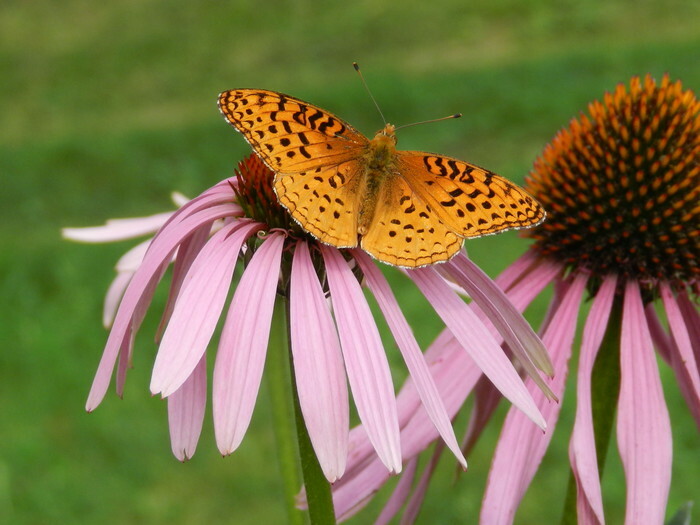 Similar to Great Spangled Fritillary. 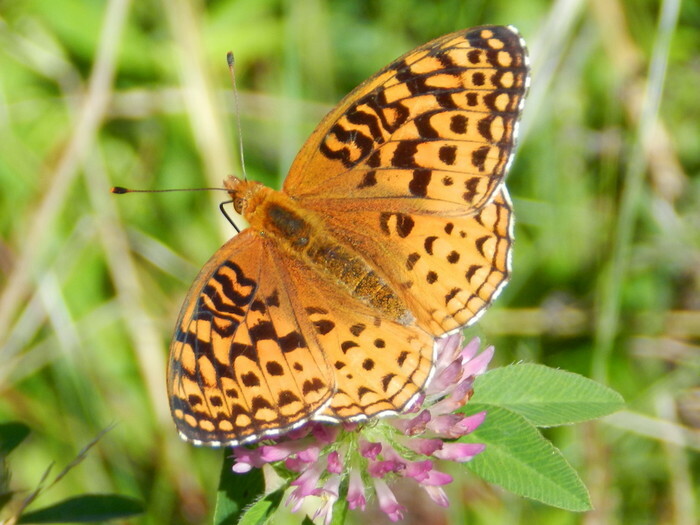 Also resembles Atlantis Fritillary, but Aphrodite has brown eyes, while Atlantis has blue-grey eyes. 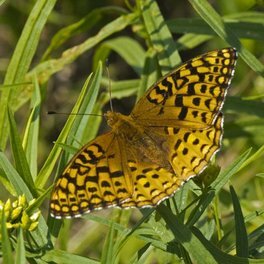 It has been observed flying at the same time and place as our other two large fritillaries.